The state of Assam, situated in the north east of India, has a considerable percentage of its population under the poverty line and its marginalised population solely depend upon food entitlements mandated under The National Food Security Act (NFSA), 2013. Despite numerous features which could set it on the upward trajectory of development, Assam does not have shown much improvement in its health and nutrition indicators. With 36.4% children under 5 years of children stunted and Infant Mortality Rate (IMR) as high as 48 (Source-NFHS), Assam continues to be one of the bottom five states of the country. Various studies suggest that 1% loss in adult height due to stunting contributes to 1.4% loss in productivity and stunting may reduce IQ by 5-11 points. Mothers who received full antenatal care (ANC) is 18.1%. Breastfeeding rate among the children between 6-23 months is 8.7% and the percentage of children between 6-8 months with minimum acceptable diets is 49.9%. 46% of women and 35.7% children are anaemic in the state. It is well known that anaemia has bearing on productivity. Eliminating anaemia can result in increase of 5-17% in adult productivity. There is a rising trend in obesity among men as well as women. 13.2% adult women and 12.9% adult men are obese. Good sanitation, hygiene and safe drinking water have a bearing on good health and nutrition. Only 47.7% households in Assam are using improved sanitation facilities. Conditions of the working class in the tea gardens is totally unsatisfactory in spite of the provisions Plantation Labour Act which are mean to provide the required facilities to the workers. Poor socio-economic conditions, illiteracy, age old societal norms and unhygienic living conditions make tea garden populations vulnerable to malnutrition and various communicable diseases. Different studies show high prevalence of undernutrition, worm infections, skin infection and respiratory infections, including tuberculosis, filariasis, back pain and micronutrient deficiency disorders like anaemia among the tea garden labourers.Good nutrition is essential for healthy immune system, higher order cognitive ability, growth and productivity and achieving demographic dividend. Assam’s perpetual poverty and inequity can much be attributed to its malnutrition and food insecurity. The World Bank (SAFANSI Program) has specific interest in intervention in Assam. 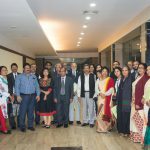 After a prolonged discussion, the Coalition has submitted a proposal to the World Bank to work in Assam on NUTRITION PARLIAMENT project which recently got approved. 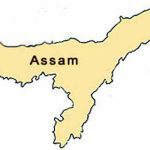 Assessment suggests that Assam State Chapter over the years will be financially sustainable by leveraging resources from the Government of Assam and CSR funds. 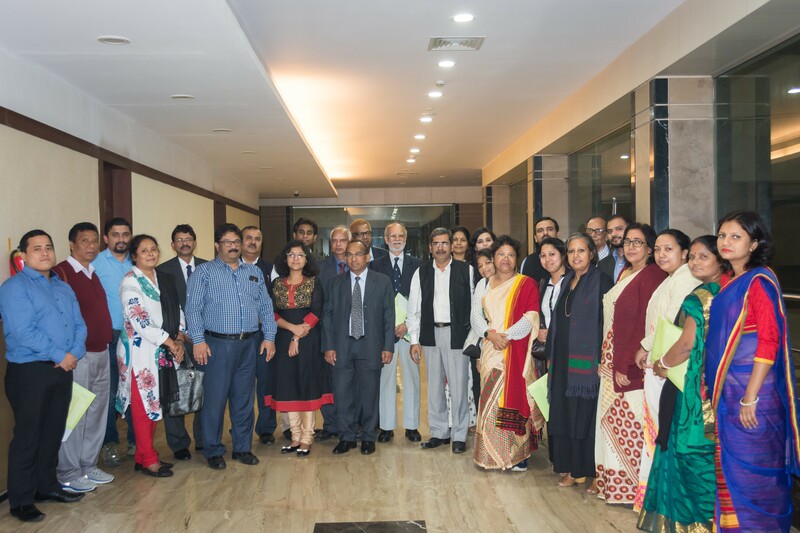 Thus, the establishment of a state chapter in Assam as an autonomous body would strategically engage in state level evidence based advocacy, sustained membership engagement and knowledge management. 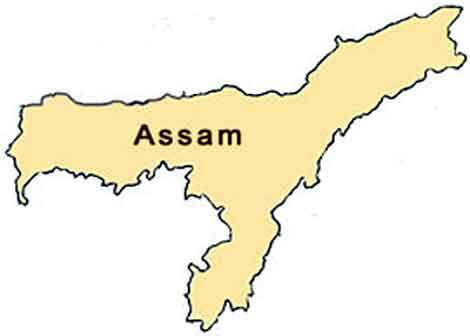 It will be an opportune moment for the Coalition to open a state chapter in the state of Assam. The joint advocacy efforts of the Coalition and UNICEF Assam has resulted in constitution and notification of the pioneering District Level Multi-Sectoral Nutrition Advisory Body by the Government of Assam for addressingmalnutrition and micronutrient deficiencies in six high burden districts. This advisory body Chaired by the Deputy Commissioner/District Magistrate has representation from 12 line departments such as District Social Welfare Officer- Member Secretary, Jt. Director of Health, Executive Engineer, PHED (Water and Sanitation), District Education Officer / Inspector of Schools, District Program Officer(SSA), Inspectors (Food and Civil Supplies), Chief Executive Officer, Zilla Parishad / PD, DRDA, Project Officer, ASRLM, District Agriculture Officer, District Animal Husbandry Officer, District Head: SC/ST, District Program Manager, NHM, UNICEF representative, Coalition representative, Socially Responsible Business/Head CSR/Tea plantation industry/CII/FICCI. This is in sync with the National Conference on “Mission Malnutrition Free India-2022” and mandate of the “National Nutrition Strategy” launched by NITI Aayog, Government of India. This Advisory Body would be responsible for development of district convergent nutrition plan, undertake monitoring of the implementation and convergence meetings to strengthen nutrition programming in the districts. The Coalition and UNICEF will support in developing district plans and establishing convergence forum. As per the Government of Assam notification(attached), the key departments will work together under a common framework wherein at least five proximate determinants of nutrition – uptake of health services, safe and nutritious food, drinking water, sanitation and hygiene, income & livelihoods and women’s empowerment – will be addressed effectively to accelerate decline of under nutrition. 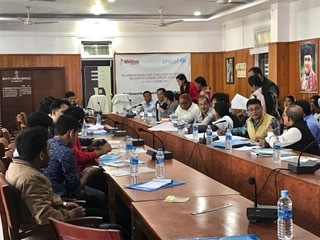 Following extensive analysis of the responses to the Multi-Sectoral Result Based District Planning Framework developed by CFNS, a planning workshop was conducted with the support of UNICEF Assam in Darrang district. This workshop was attended by District Level Multi-Sectoral Advisory Body representatives, including the DC, and workers at the grassroots level such as Anganwadi Centre supervisors and ASHA workers, and various NGOs dedicated to the cause of nutrition. The first draft of an implementable district action plan to tackle malnutrition was developed after various group discussions between the the participants. The draft will be further refined by CFNS and UNICEF, the final version of which will be present to the state level government officials in a State Consultation that will be organised by CFNS. 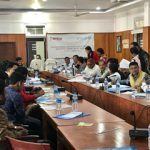 To complement the efforts of the Government of Assam and share the learnings from this decentralized multi sectoral district planning exercise which are being conducted in the state, The Centre for SDGs, Coalition and UNICEF, Assamcollaborated in organising a State Consultation on “Transforming the Food and Nutrition Landscape of Assam”in Assam on December 15, 2017 at Assam Administrative Staff College, Guwahati, Assam. Hon’ble Addl. Chief Secretary and Agriculture Production Commissioner, Department of Agriculture and Horticulture, Government of Assam, Mr K K Mittal, attended the consultation as the Chief Guest and appreciated the efforts being undertaken by the Coalition, UNICEF joining hands together with the Assam State Government to accelerate progress and establishing Assam as a model state in the country. Mr Nazrul Islam, Secretary, Department of Social Welfare brought his early career experiences as a Deputy Commissioner in the districts and highlighted the need for capacity building of districts and block functionaries and suggested compounded efforts to achieve the targets set by the NNM by 2022. Mr Bhaskar Barua, Former Secretary-Agriculture, Government of India and Governing Board member, Coalition emphasized the need for climate smart nutrition sensitive agriculture and food based approach. Ms Sweta Patnaik, Officer in Charge and Dr Sameer Pawar, Nutrition Specialist, UNICEF presented the benefits of good nutrition for child’s survival, growth and overall cognitive development and shared the global targets and how Assam needs to accelerate our progress to deliver. Coalition’s Chief Executive Officer, Basanta Kumar Kar, Odisha State Food Commissioner, Mr Ranglal Jamuda and Coalition Board Member, Mr N M Prusty apprised the participants on the recent nutrition narrative, shared experiences of the State Food Commission and called for a women led ‘Jan Andolan’ in the state. Senior government functionaries, officials from the districts,development partners, donors and academicians attended the consultation and collectively discussed on strategies to be undertaken to realise the vision of the NNM and more specifically making nutrition a peoples’ movement in consonance with the ‘Jan Andolan’ emphasised by our Hon’ble Prime Minister for bringing the much desired behaviour changes required to effectively address various facets of malnutrition. The recommendations of the state consultation will further jointly be presented by the Coalition and UNICEF.